Agra Tech's Continental Greenhouse is a Gothic Gutter Connect structure designed to be covered with poly. A 4' wide continuous single or double ridge vent can be added to provide excellent natural ventilation. Extra large gutters add strength and carry 60% more runoff away from the greenhouse. For now there are 2 widths available, 30' or 40'. Let us know what your needs are and we can make it happen. Note: Some of you may recognize the name Continental that has been absent for a while from our literature (but still being built). Well it is BACK and updated to meet today's new demands. 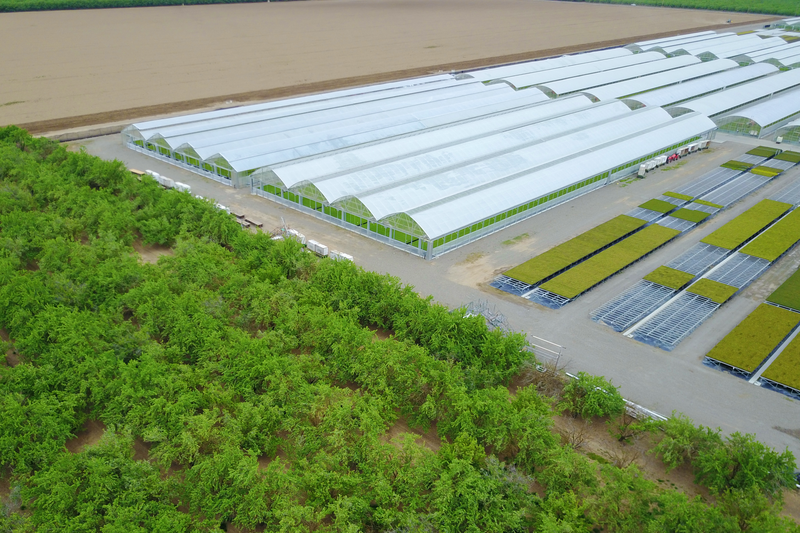 The roof pitch has been lowered just enough to reduce the new IBC wind loads on it, but it still does a wonderful job of natural ventilation and keeping your crops cool below. The bottom chord will be flat (of course unless you want it arched). Curtain can be flat at the bottom chord or slope-flat-slope. Call for a quote on one of these lovely and versatile greenhouses.